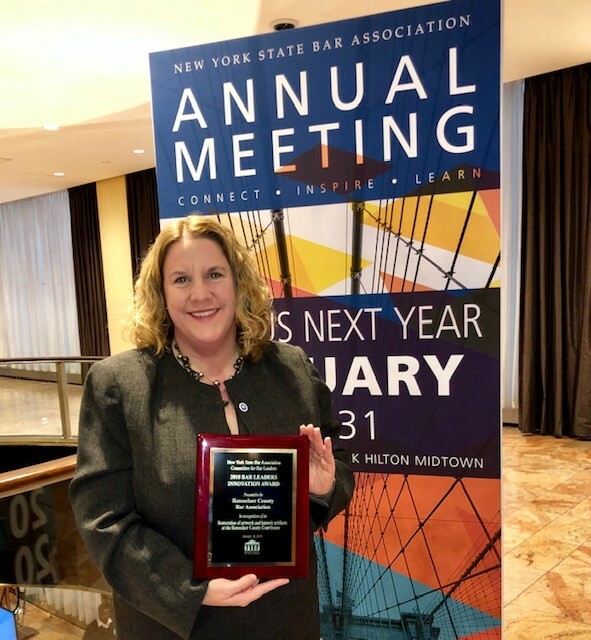 On January 11, 2019, at the New York State Bar Association’s House of Delegates Meeting, the Rensselaer County Bar Association was awarded the 2018 Bar Leaders Innovation Award for small bar associations. 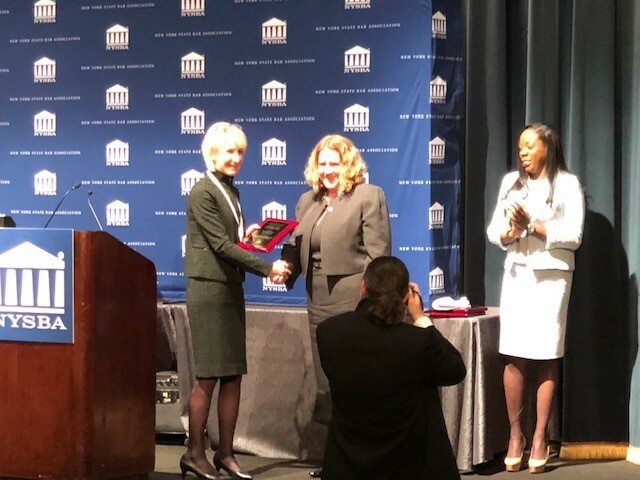 President Jessica B. Mocerine was present to accept the award on behalf of the bar association. 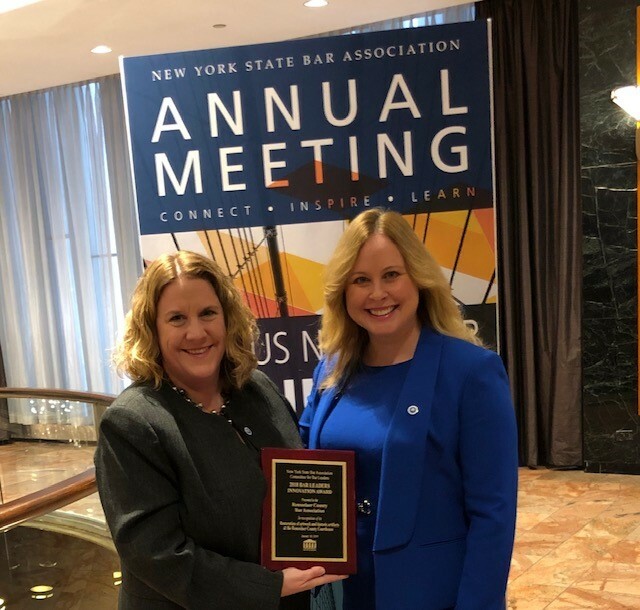 The RCBA was selected for our courthouse artwork restoration project which works to restore and preserve artwork and historic artifacts at the Rensselaer County Courthouse.